On Monday, the Arkansas Department of Education released the updated list of Priority and Focus Schools. Priority schools are the lowest performers. Focus schools are those with the biggest achievement gap between at risk and not at risk students. No, PARCC data aren’t out yet- schools were identified for the list based on assessment data from 2011-12, 2012-13 and 2013-14. Given that we are entering the 2015-16 school year, this seems like old news, rather than new news. On the plus side, the data used for identification were all from the same assessments, which is more than we will be able to say again until at least 2018. The Elementary and Secondary Education Act of 1965 (ESEA) requires states to update the list to ensure that interventions are being implemented in the lowest-performing schools. Updating the list was a condition of Arkansas’ ESEA Flexibility request being renewed for one year. We understand that this list was required, but we are frustrated that schools that may still be struggling but have made progress cannot be recognized for the improvements they have made. We are still missing the opportunity to discuss student-level growth over time. THIS is what schools should be measured on- not just if they have met a proficiency target. For more on this topic- see today’s blog on school snapshots. 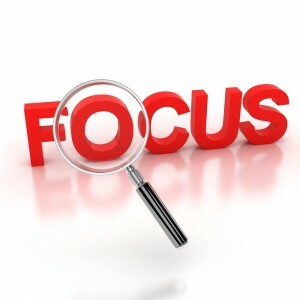 For more information about Priority and Focus Schools – read on. Priority Schools are 5% of the state’s lowest performing Title I schools (schools where at least 40% of the students are from low-income families). Non- Title I schools that are similarly low performing are also identified as Priority Schools. 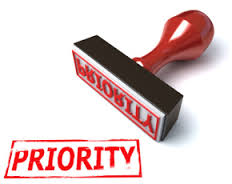 Previously identified Priority Schools that had not met exit criteria (meeting all performance targets for two consecutive years) continue to be identified as Priority Schools. Schools were sorted from highest to lowest for the percentage of students proficient in math in 2014. Schools were then assigned a rank based on this order, with 1 being the school with the highest percentage of students proficient. The process was repeated for literacy. The math and literacy ranks were summed to get a 2014 overall rank. This was repeated for 2012-13 and 2011-12. Overall ranks for 2011-12, 2013-14, 2014-15 overall ranks were summed to get a three year total rank. The next step gives a bonus to schools that had made progress in student achievement. The 2014 total rank was added weighted by .80 and added to the total rank- essentially “double counting’ the 2014 rank again. Schools that had a value greater than 7533 were identified as Priority. On average, these schools would have been ranked 1000th or lower out of approximately 1050 schools. Most Priority Schools (36) were previously identified as Priority Schools. Nearly all of the Priority Schools (33) received 2014 letter grades of D’s and F’s. This isn’t surprising because this is generally representing the same thing as letter grades- percent proficient and whether or not the school met annual targets. The Priority Schools that received Bs (2) or Cs (9) typically met performance and graduation targets in 2013-14. Nearly half of the Priority Schools (21) serve high school students. In order to be removed from Priority status, schools must meet all academic targets for two consecutive years. Focus Schools are 10% of the state’s Title I schools (schools where at least 40% of the students are from low-income families) with the largest achievement gap between at risk (TAGG) and not at risk students. Non- Title I schools that have similarly large achievement gaps are also identified as Focus Schools. Previously identified Focus Schools that had not met exit criteria (meeting all performance targets for two consecutive years) continue to be identified as Focus Schools. Students who are economically disadvantaged, English Learners or Students with Disabilities are identified as TAGG. Other student are identified as Non-TAGG. A three year percent proficient is calculated for TAGG and Non-TAGG students using 2011-12, 2012-13 and 2013-14 literacy and math assessments. The three year percent proficient for TAGG was subtracted from the three year percent proficient for Non-TAGG. Newly identified Focus Schools had gaps greater than or equal to 31.15. Most Focus Schools (73) were previously identified as Focus Schools. Focus Schools received 2014 letter grades of A(4) through F (6). This isn’t surprising because although the letter grades include an adjustment for achievement gaps it is minor so doesn’t impact the overall grade very much. The Focus Schools that received As (4) met annual targets and graduation targets in 2014. Only a third of the Focus Schools (36) serve high school students. In order to be removed from Focus status, schools must meet all academic targets for two consecutive years.